TheRockCorner states that:Provide personal information on this site is intended only for the creation of an account as an user, which consists of a password and email address. TheRockCorner can use e-mail you have provided to contact from time to time and inform you of the service http://www.therockcorner.com or any news of your interest, never will provide your email address to anyone for any reason (unless you give your consent beforehand) . Your registration TheRockCorner nick will be available for other users. 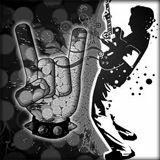 http://www.therockcorner.com for noncommercial use , and to others via our API for your commercial and / or non-commercial . This statistical information is used to help others to know the music preferences http://www.therockcorner.com users. Cookies used forTheRockCorner (that only we can read) which are used to collect data that allow us to improve the efficiency and quality of our service. If you want you can disable these cookies , however this may cause malfunction http://www.therockcorner.com . Online advertising companies may also collect data through cookies , such as websites you visit and other activities in the service http://www.therockcorner.com (usually this does not include personal information) . If you are concerned about how your information is handled , we encourage you to read the privacy policies of these companies. At TheRockCorner, children under 13 are not eligible to use our service and must not register or submit personal information. Young people between 13 and 17 should not send any information about themselves to others via the Internet (even to us) without the prior consent of their parents or legal guardians. TheRockCorner owns, regulates and provides access to www.therockcorner.com page, which is currently in the domain http://www.therockcorner.com. In TheRockCorner, we are fully committed to respect and protect the privacy and security of information we provide. The security and privacy is a priority at TheRockCorner to ensure that all such information is secure. These privacy policies are designed to protect and respect the privacy of all visitors and users of the website and is intended to inform about the way we treat your personal information. Together explains and clarifies doubts of how http://www.therockcorner.com collects and uses information . In this way we hope to leave no doubt about your visit to our website and make your experience rewarding. Or send a virtual application to: legal@therockcorner.com. TheRockCorner always striving to keep the visitor or user to date with all the updates to the website, however these policies are subject to change without notice. It is your responsibility to read and review policy updates made. For certain functions about navigate into our website, you will need to perform in TheRockCorner previously registered. When you register, you are asked to provide an email address, a user name (Nick) and password or you can link your personal Facebook account TheRockCorner directly. Note that if you choose a username (Nick ) to include or reveal your name or any other personal information, the information is available and visible to other users TheRockCorner and to the general public. From the moment you register and begin listening to music on http://www.therockcorner.com, our navigation software starts to create a record of artists and music, and recommending the best according to your country (artists and songs that appear when you're listening to a song, are chosen according to the preferences of their country). All information generated by their activity on the website navigation is fed back to http://www.therockcorner.com can show more of what you like and less of what you do not like . http://www.therockcorner.com also maintains a central database of information collected by the navigation software profile (which may include your personal information) . Make TheRockCorner track of the domains from which people enter to http://www.therockcorner.com, but we can see a user's zip code, city or country, unless the user explicitly choose to provide this information to us. Please note that this information may be available to be viewed by other users of the website and to the general public. We collect data on http://www.therockcorner.com users , including: Internet Protocol (IP ) from the user's computer. This may or may not be associated with an Internet Service Provider including (ISP), referring URL, if the browser software identification (ie the brand and version of your browser software). TheRockCorner, recorded some information on what you hear and share, user activities and other activities while using the Web, and can match the information with personally identifiable information with respect to those users. For example, it is possible for us to know what songs are heard, which is shared, which was created Playlist . However, information on their music preferences and music -sharing activities can be seen by other users (which may include other organizations or representatives of other organizations who have registered as users http://www.therockcorner.com ) together with your user name and third parties who have access to this information through http://www.therockcorner.com ' s API and web services, as explained in this Policy. Note that the log is used in aggregate statistical information . For example , we know that the number of users you hear a particular song . From this information we can compile statistics on percentages of all users (ie , 40% of our users listen Ricardo Arjona). We are also able to perform more sophisticated statistical operations based on the information gathered . For example , you can determine the number of users who listen to a certain subject by country. From this information we can determine which songs are " late " in terms of overall listener preference and we can see that the categories of music tend to be similar. As a service, we provide some aggregate statistics to the record labels and artists that allow us to listen to your music http://www.therockcorner.com in order to help them understand the likes and dislikes of music listeners. TheRockCorner may occasionally use email provided by you by security reasons, ask for feedback regarding the service we provide, and keep current on the latest news and exclusives in TheRockCorner. We may also use personal information to send you notifications, on behalf of others and of ourselves , in relation to the products and services we believe may be of interest. In Therockcorner.com We may also use your personal and non-personal information to help http://www.therockcorner.com and its trading partners, deliver targeted advertisements, promotions and other similar initiatives to you. Your username, along with other information regarding the use of http://www.therockcorner.com website and any personal information contained in your user profile, be made available via API. We do not allow third parties to contact you directly so unsolicited concerning its own products or services , unless you consent, you may withdraw any consent by e - mail to legal@therockcorner.com. http://www.therockcorner.com complies with the Act on Personal Data Protection - Law No. 29733 and its Regulations. In accordance with the law, you have the right to be informed of and have access to all personally identifiable information we have about you, and you can do so by visiting your user profile by logging into your account on the website , or email us at : legal@therockcorner.com . Most browsers have cookies enabled by default, but can be disabled if desired, or only allow non-persistent cookies through your browser preferences , though, you will not be able to enjoy a significant proportion http://www.therockcorner.com functionality . Remember that cookies can not read your hard drive or give any information obtained from third parties. TheRockCorner use third parties to target advertising and to serve ads when you visit our website. These companies may use information ( generally not including your name , address, email address or telephone number ) about your visits to this and other websites to provide advertisements about goods and services of interest to you. These companies may employ cookies and other tracking technologies to measure advertising effectiveness . Any information that these third parties collect via cookies is generally not personally identifiable ( unless, for example, you provide personal information through an ad or email message ) . We encourage you to read the privacy policies of these companies , if you have any concerns about how they will care for your information. If you would like more information about this practice and to know your choices about not having this information used by these companies , visit the Network Advertising Initiative 's consumer Web http://www.networkadvertising.org/consumer . Therockcorner.com strives to protect the security of your information as much as we strive to protect our information and network. We have firewalls to store all our files and information terminals that require a password. In the event that we believe that the security of your personal information in our possession or control may have been compromised, we may seek to notify you. If a notification is appropriate, we will endeavor to do so as soon as possible under the circumstances and to the extent we have your email address , we may notify you by e- mail. You consent to our use of e -mail as a notification. If you prefer us to use another method to notify you of this situation , please send an email to legal@therockcorner.com with alternative contact information you want. Children under 13 are not entitled to use the website and not attempt to register with http://www.therockcorner.com and / or submitting any personal information. We do not collect personal information from anyone under 13 years old and allow you to register . Whether it is information or personal data of a person under 13, we will delete this information as soon as possible. If you have reason to believe that this has happened, please contact us at legal@therockcorner.com , and we will remove all the relevant information. If TheRockCorner is acquired by another company, selling all or a portion of its assets to another company, or in the case of a merger, it is likely that user information is a part of the transferred assets. If as a result of the business transition information should be collected, used or disclosed in a manner or for a purpose other than that set out above, http://www.therockcorner.com will endeavor to notify all users of such changes advance. When you disclose any information to TheRockCorner using http://www.therockcorner.com Website as a registered user , you are consenting to the collection, storage and use of your personal information by TheRockCorner as set out in this Policy and the Terms and Conditions and you understand and consent to the collection, maintenance , processing and transfer of information to the United States and other countries and territories. If you do not give your consent to the collection , maintenance, processing and transmission of information to the United States and other countries and territories, then you must not use the website as a registered user, which means that many features will not be available for you. If you decide you do not want your personal information being used in the manner described in this Policy, you can send a message that you wish to withdraw your consent to the terms set legal@therockcorner.com email . Because the page is based on users sharing information, withdrawing your consent means that you are not able to receive the full benefits TheRockCorner service user. Also, if you do not give your consent or if you withdraw your consent , you should not use the Website as a registered user, which means that many features will not be available to you.